Hard on the heels of Tesco pulling out of the UK ebook market comes troubling news from Germany. A German startup blog reported on Wednesday that txtr is insolvent. The future of the company is not known at this time, but I do know that an administrator has been appointed. Christian Köhler-Ma, a lawyer with Olswang LLP, has been tasked with overseeing txtr's affairs. Launched in 2008, txtr was originally focused on developing a 6" ereader with a novel design. The txtr reader featured 3g connectivity and a unique interface, but it was plagued by development and production issues. After the txtr reader was shelved in 2010, txtr pivoted to providing a whitelabel ebookstore platform which built on the cloud services originally developed for the ereader. Txtr launched its own ebookstore in a number of markets, and it counted companies companies like Sony, Deutsche Telecom, and other telecoms among its customers. Perhaps txtr's most well-known customer was 3M, which both invested in the ebook company in 2011 and hired txtr to develop parts of the 3M Cloud Library. I can't comment on txtr or what they will be doing. However, the Cloud Library ended our relationship with txtr and took over development in late 2013. We now develop all of our apps and technology with our own development teams in St. Paul, Minnesota. 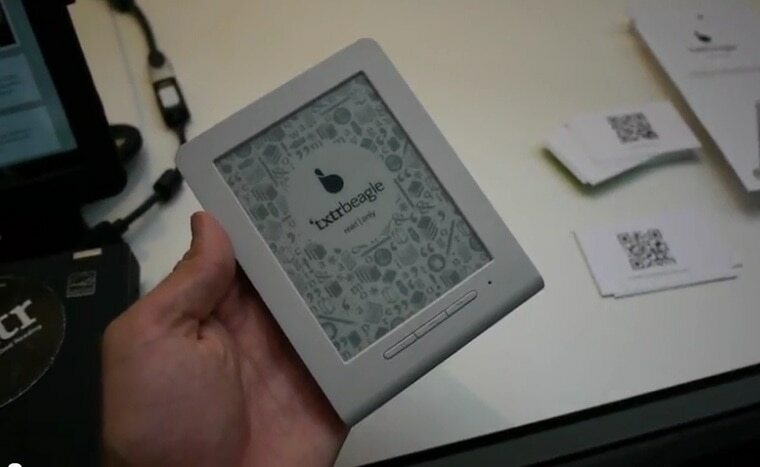 Txtr went on to develop a second ereader, the beagle. This 5" device was designed to be paired with a smartphone and was going to be bundled with and subsidized by new smartphone contracts. No one really liked that idea, so when the beagle finally hit the market it cost as much as the Kindle and did far less. Needless to say, it flopped - in the European market, at least. The beagle was recently licensed to a Japanese firm and launched in Japan under a new name. The fate of that device is not known at this time. Txtr has had little good news to report since the beagle flopped, but that's not to say that the startup hasn't been busy. Last summer the team behind txtr launched the ebook subscription service Blloon as a wholly separate ebook startup. At the time, I wondered why the companies were kept apart, but now I think we know the answer. I can't speak as to how far in advance they saw this coming, but I do have a source which told me that txtr was supposed to be bought by foreign investors at the end of last year. That deal fell through at last moment. According to my source, Blloon is an independent company which should not be affected by the bankruptcy. I was also told that some of the txtr shareholders received shares in Blloon before it was spun off last summer. 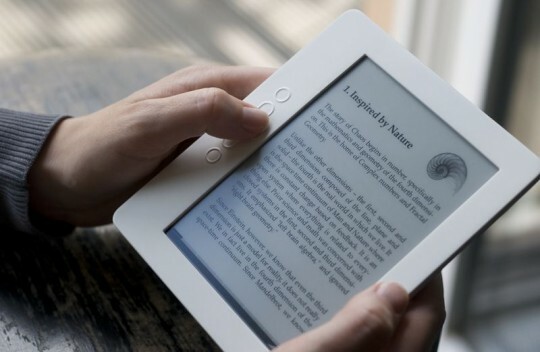 Blloon subsequently launched its ebook subscription service in the UK last fall, and plans to expand into the US and Germany this year. The fate of txtr is still unknown, but given that a number of key employees now work at Blloon, it is safe to assume that the older company has been abandoned to its fate. And that's a shame, and not just because txtr's customers will get screwed if the servers are turned off. It's also regrettable because txtr had developed an interesting ebook platform with features that were in some ways better than what is offered by Kobo or Nook. I hadn’t realized that txtr had been treading water while Kobo was improving for long enough that the latter has caught up. Got it. Sometimes good features are buried for a while and I just wanted to make sure I wasn’t missing anything obvious. I’ll admin to being lightly surprised that Kobo hasn’t introduced a storage option, though. Feels like that should be remedied ASAP.